We provide scuba diving courses as well as expeditions to the best dive ﻿﻿sites﻿﻿ in Bintan and Mapur Island. We believe that diving should be safe, fun and accessible to just about anyone. Scuba diving is an amazing thing. It is like going to space for an hour. To begin your journey, the SSI Open Water Diver course is the way to go. It is your ticket to the underwater world! The SSI Open Water Diver course consists of 3 parts: Academic, Pool training and Open sea dives. 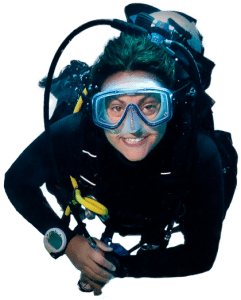 The diving experience here is advisable for both beginner and professional divers. Under the sea, there is a huge number of various aquatic species. With an average depth is 4.5 metres, it can reach a maximum depth of 10 metres. There are small colorful fishes hiding in its amazing corals. There are a number of water activities offered as well such as boating, kayaking, fishing, and swimming. As Mapur Island has a plethora of marine life, divers will be rewarded with sightings of Batfish, Giant Cuttlefish, Juvenile Sweetlips, Spanish Mackerel, Large Blue-Spotted Rays, and Whitetip Reef Sharks. Schools of Trevallies and Bump head Parrotfish are also residents to Mapur Island with large Table corals and other massive hard corals decorating its waters. Bintan Agro ﻿Beach﻿ Resort lies along the stretch of Trikora Beach at the eastern coast of Bintan Island. Indulge in the panoramic view of a breathtaking seascape with clear turquoise waters and crystal white sands. You can choose from the wide array of their services and facilities from savoring a fresh catch from the sea Al fresco style to basking in the sun, to an exhilarating water activity and capping the day off with their soothing Oceanic Spa. 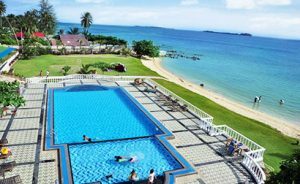 Whether you prefer a quiet or adventurous holiday, Bintan Agro Beach Resort will let you experience one or both that will surely leave you wanting for more. Bintan Divers is located at Jl. Pantai Trikora Km.36, Teluk Bakau, 29153. With a 45-minute ferry boat ride this is usually the best access option for you through Bandar Bentan Ferry Telani Ferry terminal to reach us. Your first choice to dive in Bintan Islands, Indonesia, providing scuba diving courses, the best dive sites, and the best dive resorts in Bintan. © 2016 Bintan Divers. All Rights Reserved.